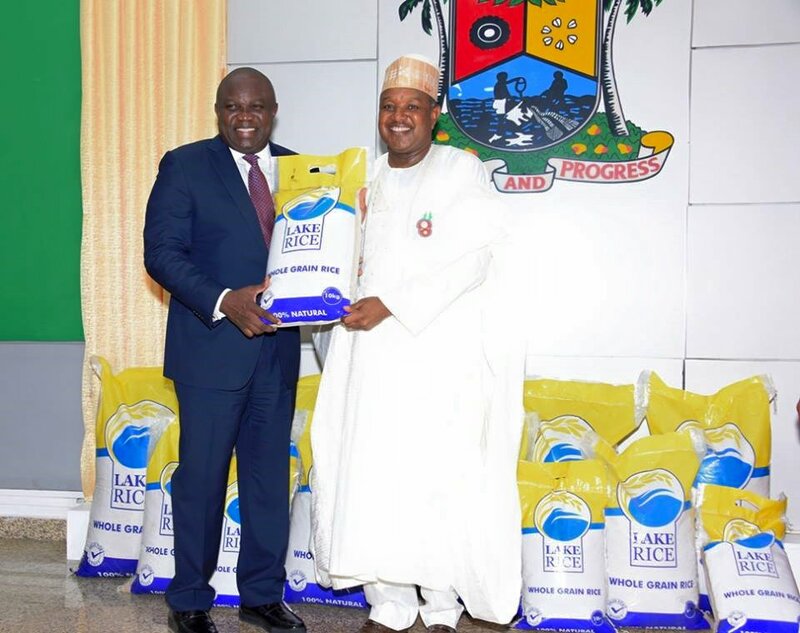 President Muhammadu Buhari has showered praises on Lagos and Kebbi States for the successful partnership that gave rise to the local production of LAKE Rice (Lagos-Kebbi Rice). In a statement issued by his spokesman, Mr Femi Adesina, the President particularly saluted the commitment of Governors Akinwunmi Ambode and Atiku Bagudu in bringing to fruition the Memorandum of Understanding (MoU) signed in March 2016 on substantially meeting the country’s rice requirement. He also expressed delight at the relatively cheaper price of LAKE Rice especially at this period of recession. “It gladdens my heart to get reports of our citizens rushing to purchase this cheaper local rice to enable them and their families enjoy the Christmas and New Year celebrations,” the President enthused. The President recalled that in his 2017 Budget presentation before the National Assembly, he said that “a new era is rising in which we must grow what we eat and consume what we make,” adding that the LAKE Rice achievement is in furtherance of the above goal. While urging other state governments to replicate the laudable example of LAKE Rice in other staple crops and dairy products, President Buhari pledged Federal Government’s readiness to continue to support such initiatives by providing the enabling environment, policies and incentives for agriculture to thrive in order for the nation to achieve food security. The President expressed that he remains optimistic that going forward, Nigeria will attain rice sufficiency by 2019.